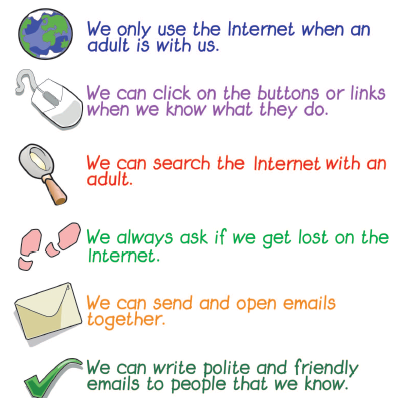 Knowing how to protect your child when they are online can be worrying. If you have concerns please come into school and ask for help or access the links below which will provide you with lots of advice. These links contains advice on the things you may be worrying about. The use of ICT including the Internet, e-mail, learning platforms and today’s mobile technologies are an integral element of learning in our school. To make this as successful and as beneficial as possible for all learners, we expect all pupils to act safely and responsibly when using technology both within, and outside of, the school environment. 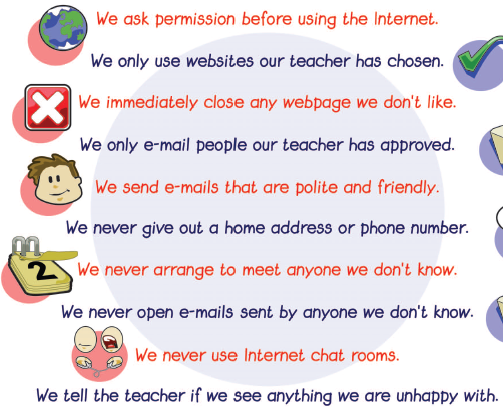 Pupils must agree to the Acceptable User Policy in order to use the school computer systems. We take all forms of ‘Cyberbullying’ – both inside and outside school—very seriously. Like all forms of bullying, the best thing to do is tell someone immediately. It could be a friend, member of your family or a member of school staff. By doing so, your problems will soon start to get better.